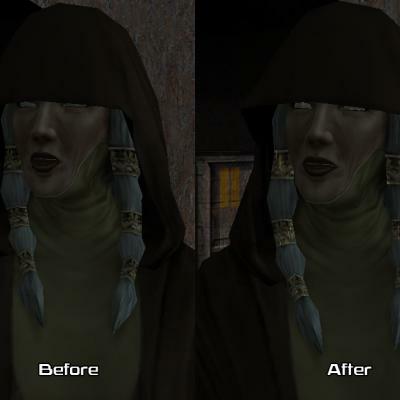 This mod gives Kreia her appearance from beta/pre-release stage of the game. 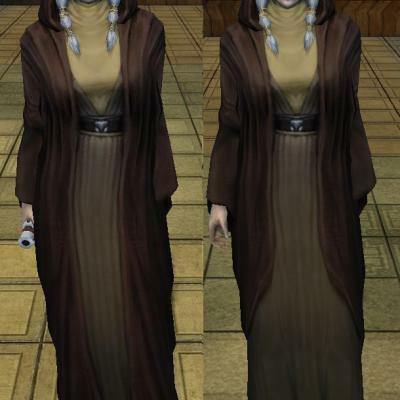 Notable differences include shorter outer robe, shine effects on her hair clasps and slight reflection to her eyes. 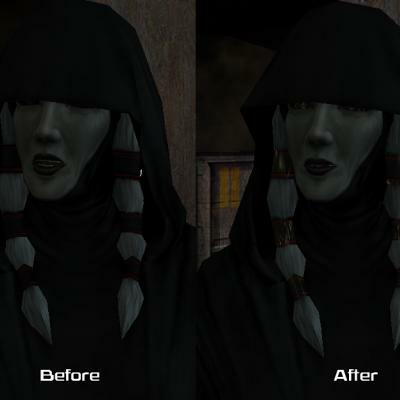 The head changes also apply to her Sith appearance as well. 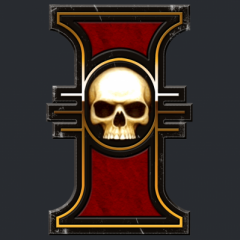 Further adjusted the front to match the beta appearance.